Vinegar Syndrome unleashed a whirlwind of horror film restorations announcements this past week that will be in place for genre fans to savor one week before the witching hour of Halloween. 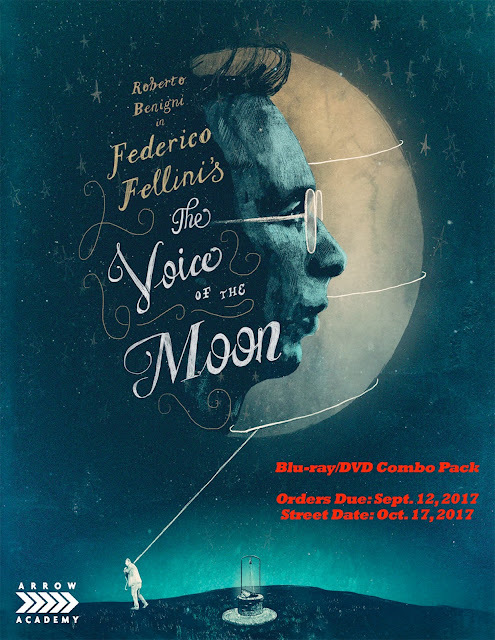 Five Blu-ray/DVD Combo Packs will be ready at retail on Oct. 24 … so let’s get to it. Leading the way is a 2K restoration — from the film’s 35mm camera negative — of writer/director Charles Philip Moore’s 1990 film release of Demon Wind. In a violent prologue the fate of Cory’s (Eric Larson) grandparents is revealed … a demon infestation! Now skip ahead some 60 years and he, his girlfriend, Elaine (Francine Lapensée), and a group of their friends are back at the scene of the slaughter after Cory’s father has killed himself and the farm is now his. You can understand how someone might want to get to the bottom of what happened so many years ago, but shouldn’t there be a nagging little suspicion that if your grandparents were murdered and dear old dad killed himself that maybe, just maybe, something is amiss at the old family homestead. The victim pool, that would be Cory, Elaine and their friends are soon going to discover what is afoot … and it ain’t pretty, especially when the root of all evil just might be a family member! 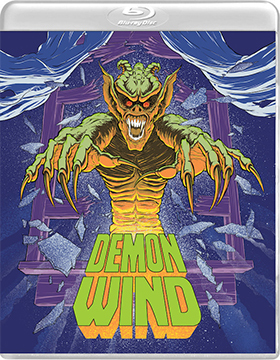 Bonus goodies for Demon Wind include a trio of video sessions featuring actress Sherry Bendorf (as Bonnie, one of Cory’s friends), executive producer Sandy Horowitz and cinematographer Thomas L. Callaway. Next up is writer/director Fabrice A. Zaphiratos’ 1986 slasher flick — with a supernatural twist — Blood Beat! 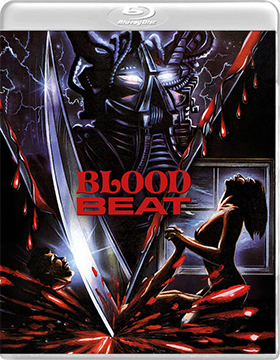 This indie direct-to-video release gets a new 2K restoration from Vinegar Syndrome — from the 35mm original camera negative — and for anyone not holding an old VHS copy of Blood Beat this could be for all intents and purposes the film’s coming out party. As to bonus goodies, there is a commentary track from filmmaker Fabrice A. Zaphiratos — who appears to have dropped off the radar after directing Blood Beat — plus there are video sessions with Zaphiratos and cinematographer Vladimir Van Maule … and Vinegar Syndrome hints that there might be additional bonus features by street date. 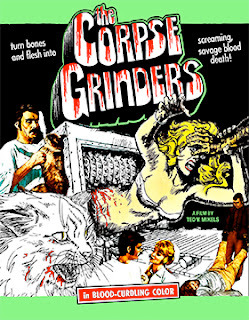 Next up is director Ted V. Mikels’ 1972 tribute to canned cat food insanity, The Corpse Grinders. Vinegar Syndrome has a new 2K restoration planned. This film is so much fun … you have grave robbers and a cat food canning operation in cahoots. That’s delicious! Suppose one of your love ones was recently buried out at the Farewell Acres Cemetery, where, as fast as Caleb (Warren Ball) buries them, he turns around and digs them and sells the corpses (in bulk) to Landau (Sanford Mitchell) over at the Lotus Cat Food Company. There is just one little problem with this “arrangement.” Caleb is getting “stiffed” by Laudau (pun intended) and he threatens to cut him off. To make matters worse, Laudau is also holding out on his partner Maltby (J. Byron Foster) … who has a little fetish, which we won’t talk about. Meanwhile, at a local clinic, Dr. Glass (Sean Kenney) and his nurse, Angie (Monika Kelly) — who are lovers as well — begin to take notice of the strange behavior of the local cats. And there is a mysterious figure that is also lurking about who has taken an interest in Lotus. Will they figure out what is going on at the cannery … will Maltby get an unconscious Angie on the conveyor belt so that he can have his way with her. Will cats turn on everyone!!! 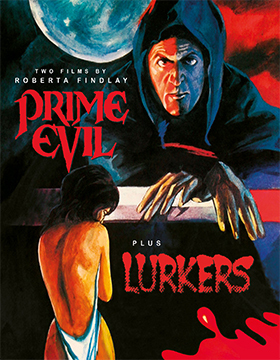 Rounding out the Oct. 24 Blu-ray/DVD Combo Pack selections are the double feature presentation of director Roberta Findlay’s Prime Evil (1988) and Lurkers (also from 1988), both starring Christine Moore — Findlay provides commentary on Prime Evil — and Findlay’s earlier adult-themed horror film A Woman’s Torment (1977), which features both the X-rated and the trimmed down R-rated cuts of the film (Findlay also provides commentary). Humphrey Bogart: “We’ll always have Paris” … Casablanca, 1942. The line; the immortal line, “We’ll always have Paris,” was delivered by Rick (Bogart) — in a movie — and it became iconic of everything about the city. Paris, a place for lovers; a city of lights and feelings where memories linger. Oh, yes, we should not forget Cole Porter … “I love Paris when it sizzles.” Paris and the river Seine, the Eiffel Tower … and more, so much more … it truly does sizzle! On Nov. 28 we can absolutely guarantee you that you will remember the Paris of Bogart and Porter in a whole new light. 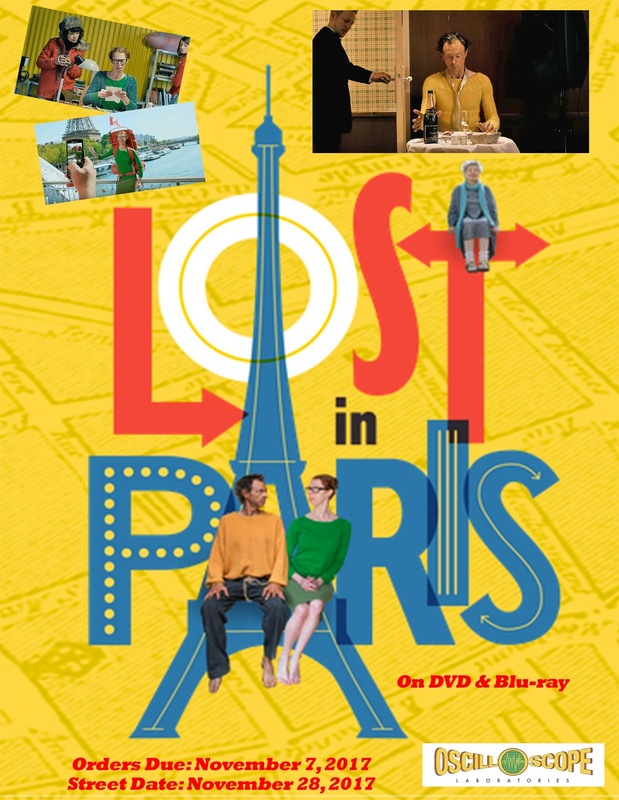 Nov. 28 is the street date for both DVD and Blu-ray editions of Oscilloscope Laboratories box office smash, Lost in Paris. This comedy gem — this love story — from Dominique Abel and Fiona Gordon has pulled in $571,116 (and counting), which is unheard of for a foreign-language arthouse entry distributed by an independent! For the record, the ARR is 165 days. 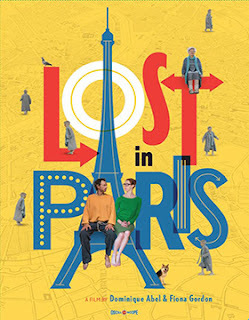 Lost in Paris is a visual feast! It is the best French-language film of the year — of the decade, perhaps. It should be the country’s official entry for the Oscar derby this year. The French will certainly pick something dull and boring (that we’ve seen before in other forms) as their entry, but this original SHOULD BE their entry. Period! The cinematic spirits of Inspector Clouseau, Woody Allen, Buster Keaton, Charlie Chaplin, Tati’s Monsieur Hulot (and more) are alive and well and all rolled into 84 minutes of comedy delights as Fiona, a Canadian (literally from the great white north), goes in search of her missing aunt, Martha, who lives in Paris and then crosses paths with Dom, a bum. The set-pieces and visuals are like homages to these cinematic spirits … and they come at a blistering pace! You will still be laughing or smiling at this bit or that one when the next arrives … Lost in Paris is a film that will have you laughing, grinning, chuckling or smiling from frame one. Indeed, you know that you are in for a treat when Fiona (Fiona Gordon — Rumba, The Fairy, etc.) — a leggy scarecrow of a woman with bright red hair, who lives in a perpetually snowbound village somewhere in Canada — receives a letter (that by rights should be in a landfill) from her aunt Martha (played by the late Emmanuelle Riva — Oscar nominated for her performance in filmmaker Michael Haneke’s 2012 film, Amour). The authorities want to put her in a home and she wants Fiona to help her. 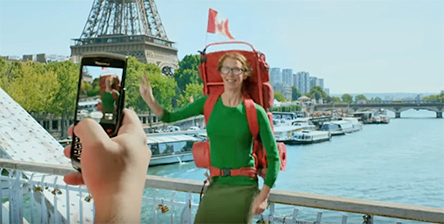 Fiona lands in Paris with her backpack (complete with Canadian flag), but Martha has gone missing — actually, she’s on the run. It seems that Martha escaped a social worker by hiding in plain sight (a terrific sight gag with her neighbor, played by Abel and Gordon regular, Philippe Martz). There’s no answer at the apartment, so Fiona goes in search of her and ends up in the Seine River (another terrific sight gag) and her backpack and money are lost. Enter Dom (Dominique Abel — Fiona Gordon’s long-time partner in crime), a bum, who lives in a camping tent on the banks of the Seine. He dumpster dives at a nearby fancy restaurant, only to have his meal snatched away by someone fishing on the banks of the Seine … he follows his errant meal downstream and finds Fiona’s missing backpack. 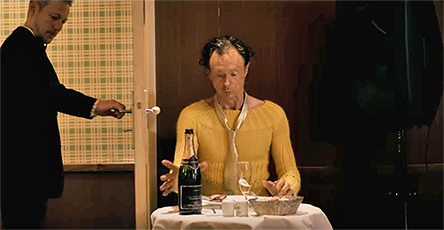 Dom keeps her purse (money and passport) and is enamored with one of her pullover sweaters, so keeps that too … and goes back to the fancy restaurant to celebrate his good fortune (wearing the sweater). Meanwhile, Fiona has dried out and gone to the Canadian embassy to get a new passport … they give her a meal voucher and tell her to come back tomorrow. Of course she ends up at the same restaurant as Dom! You are literally less than ten minutes into the movie and you haven’t stopped laughing yet. And it is about to get even better … even more bizarre. During the balance of the film (which takes place over a 48 hour period), you will see Fiona and Dom dance (an amazing sequence), attend a funeral (with an impromptu eulogy delivered by Dom), wander the streets of Paris, have a spilt-screen romantic dream sequence (think: Rock Hudson and Doris Day), fall in love, climb the Eiffel Tower at night … and find the missing Martha. And we didn’t even mention the Canadian Mountie or the mystery of the lost sock. You’ve laughed and smiled and chuckled all the way to the end … and you’re not done yet. There are the ending credits with Kate & Anna McGarrigle delivering the “Swimming Song” as the camera glides gently down the Seine away from Fiona and Dom, who are standing at Pont de Grenelle and the Paris version of the Statue of Liberty (with the Eiffel Tower in the background). Fiona and Dom will always have Paris! Icarus Films will be teaming with the KimStim Collection for the Oct. 17 DVD release of Quebec-based writer/director Dennis Côté’s Boris Without Beatrice. The prolific Côté takes us in a slightly different direction this time out with an interesting character study of a deeply flawed, but nevertheless powerful businessman played by James Hyndman (the Boris of the title). 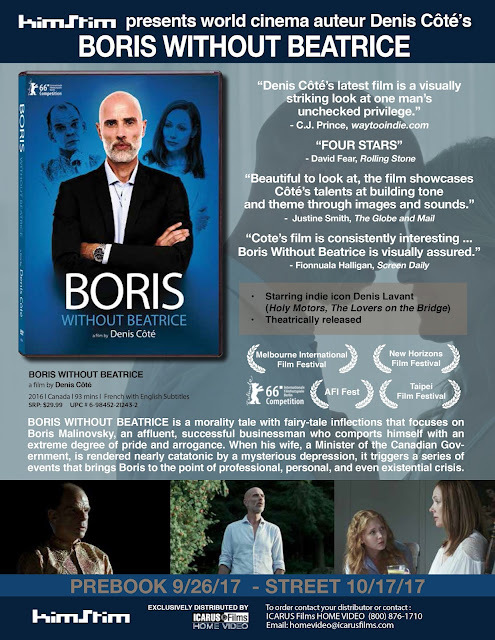 Côté quickly outlines Boris’ character with several vignettes (hint: he’s not all that likeable) and then we get to the second half of the film’s title, Beatrice (Simone-Élise Girard), who has had an emotional breakdown and is now bed-ridden. There are many clues as to the why of her condition. Her stepdaughter, Justine (played by Laetitia Isambert-Denis), is a shrew, who views her father with contempt and his “trophy” bride as nothing more than a decoration. Being around such a hateful snob (of wealth and privilege) would be enough to depress anyone. Add to this, we learn that Boris is a serial philander, but he may actually be in love with his wife despite all of his indiscretions … during the course of the film he manages to squeeze in two more affairs while his wife is bed-ridden. How does one remain sane with such mixed signals? 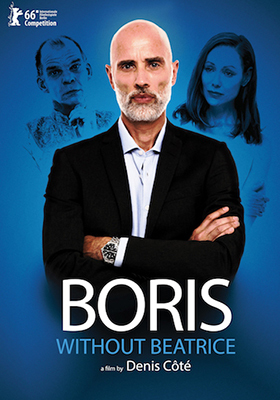 Boris Without Beatrice is presented in French with English subtitles. 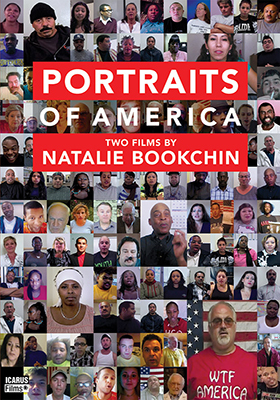 The following week, Oct. 24, Icarus Films returns with the DVD release of Portraits of America: Two films by Natalie Bookchin. 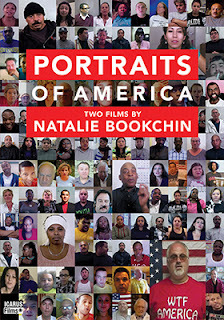 Included here are two short “performance” films … Bookchin is an artist whose work is beyond the bounds of traditional art motifs. Here she works with film as her expressive medium and Icarus presents us with Long Story Short — over 100 homeless people throughout Los Angeles tell of their experiences in a multi-screen presentation, with their “unique” experiences and the expressions of how they feel, overlapping with the same sentiments of the others … parallel worlds intersecting, meeting and dancing away. A shared experience presented from over 100 different points of view. was initially viewed as a multi-television presentation in an art gallery venue — talking heads on TVs throughout the room whose stories were collected over several years from internet blogs all voicing their opinions on the same subject. These video blogs have been combined into a multi-screen presentation for the DVD presentation and is downright creepy. All of the video-bloggers posted their rants separately over several years and they had nothing in common with each other, except their subject, which was an unnamed “black” friend or acquaintance. The sameness of their comments, their denials and their disclaimers all combine to create a narrative that is nothing short of disturbing. 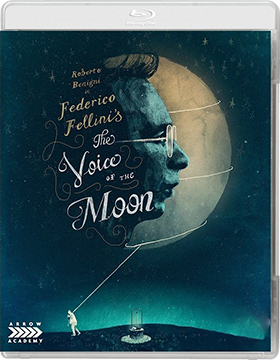 Arrow Video, with domestic sales and distribution support provided by MVD Entertainment Group, will be serving up a new 2K restoration of famed Italian filmmaker Federico Fellini’s final film, The Voice of the Moon, as a Blu-ray/DVD combo pack on Oct. 17. The film was the last from Italian auteur master filmmaker Federico Fellini. It opened at the Cannes Film Festival in 1990 out of competition … he won the Palme d'Or in 1960 for La Dolce Vita and was nominated 12 times for Oscars for either Best Director (Fellini – Satyricon, Amarcord, 8½, La Dolce Vita) or Best Writing, but he couldn’t even muster a domestic distributor for the film. 8½, Amarcord and La Strada all won Best Foreign Language Oscars, but it was his producers who collected the gold, not him. All of this added up to a slap in the face. It falls to Arrow Video to bring Fellini’s final film work, starring future Oscar-winner Roberto Benigni, to the domestic marketplace on Oct. 17. Film collectors, film buffs and fans of the master will certainly be celebrating its arrival. Included with the film is documentary filmmaker Eugenio Cappuccio’s 2006 film titled Towards the Moon with Fellini. Paramount Home Media has tabbed Nov. 14 for the DVD debut date of the Nickelodeon Animation Studio production of director Max Lang’s Albert: A Small Tree With a Big Dream. Albert (voiced by Bobby Moynihan) is a Douglas fir tree who has dreams of becoming this year’s Christmas tree for Empire City. It’s a bold dream, since he is small and not likely to be anyone’s first choice, but he is determined and so he hits the road with his friends, Maisie (voiced by Sasheer Zamata), a palm tree, and Gene (voiced by Judah Friedlander), a weed. They soon run afoul of Cactus Pete (Rob Riggle), who can’t stand the Christmas season and does everything in his power to wreck it for all! 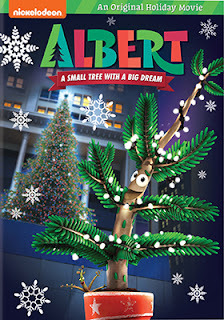 Albert: A Small Tree With a Big Dream is a life-lesson tale where Albert overcomes all of the obstacles thrown his way to learn about the true meaning of Christmas. 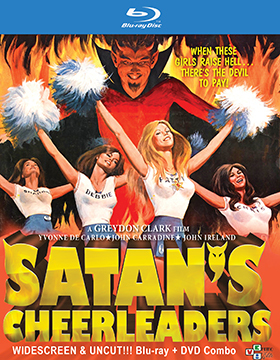 VCI Entertainment has lined up a new 2K restoration — from the original 35mm camera negative — of director Greydon Clark’s 1977 satanic horror tale, Satan’s Cheerleaders, for delivery to fans as a Blu-ray/DVD Combo Pack on Nov. 7. It all seems innocent enough. Benedict High School cheerleaders Patti (Kerry Sherman), Debbie (Alisa Powell), Chris (Hillary Horan) and Sharon (Sherry Marks) practice their routines under the watchful eye of their coach, Miss Johnson (Jacqulin Cole), and then take a little time off to play some “touch” football with members of the school’s football team down on the beach. Your first thought is that this is going to be a 1970’s sexploitation flick. High school cheerleaders, football players and hormones — add in a long-standing rivalry with neighboring Baker High School — and it all seems to point to just that, sexploitation; drive-in titillation! But we soon discover that Benedict High School is the secret home of a coven of witches who are in league with, Billy (Jack Kruschen), the school’s creepy janitor and events will quickly take Clark’s film in an entirely different direction. When Miss Johnson’s car, filled with the four cheerleaders, breaks down on the way to big game with Baker, we know in our heart of hearts that this is the victim pool and things are not going to go well for the girls. But, wait, it’s Billy to the rescue, but instead of taking the cheerleaders to the game he drives them to a secluded spot and puts the whammy on Patti, who starts taking her clothes off!!! Of course this is all too much for Billy, who has a heart attack. The girls and their coach find the local sheriff, whose name just happens to be B. L. Bubb (John Ireland), and his wife Emmy (Yvonne De Carlo), and they report all of the crazy things that happened on the way to the game. As it turns out, only one of the five among the cheerleaders and coach is a virgin, and the plan is to offer her as a bride to Satan. The sheriff and his wife are in on it. Which one is it? The rest, of course, are expendable. To complicate matters, Patti is still under Billy’s spell and the clock is ticking … they might not make the game! 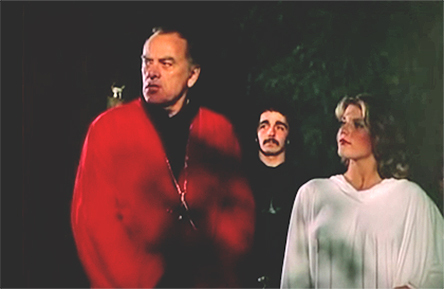 Satan’s Cheerleaders is one of those mixed-genre indie films from the period that actually exceeded all expectations. 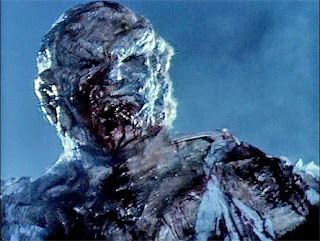 It works both as a sexploitation film — with some unexpected violence — and a nice twist-and-turn horror film. 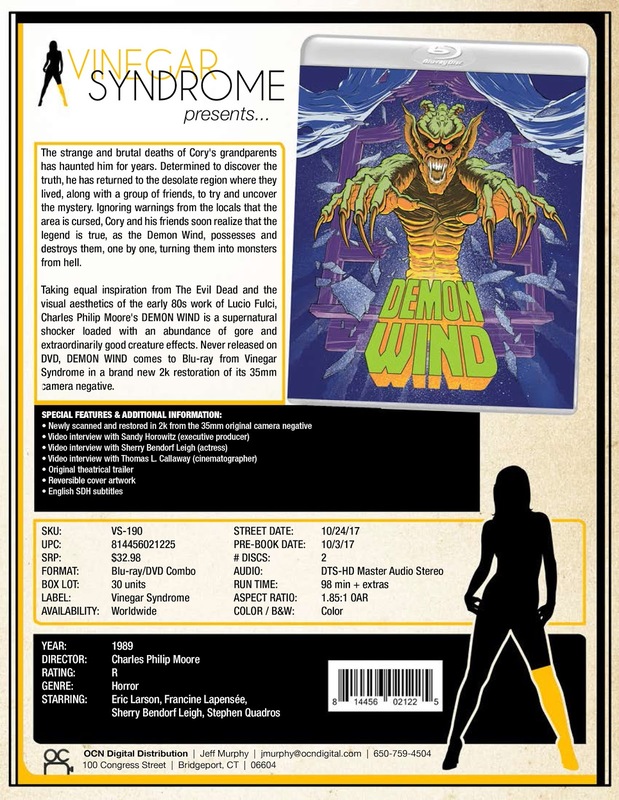 Bonus features include a commentary track with director Greydon Clark (Black Shampoo, Without Warning, Joysticks, etc.) and a behind-the-scenes photo gallery. There are things that set the hair on the back of your neck a tingle; things that make your skin crawl. These are little warning signs that your body gives off saying that it is time to turn around and head for the exits. But what happens when you are a documentary filmmaking team and you get so involved in telling your story that these human nature warning signs get switched off … or, they are simply ignored. You know, like the frog in the pot of water, where the heat is turned up slowly until you get boiled frog … the frog never saw it coming! That’s what Jodie (Jane Elizabeth Barry) and her filmmaking partner Kevin (Geoff Pinfield) find themselves in — a pot of trouble with the heat on — in Aussie filmmaker Glenn Tiggs’ Apocalypse Cult, which will be making its domestic DVD debut on Oct. 31 courtesy of Wild Eye Releasing … MVD Entertainment Group will be managing the domestic sales and distribution efforts. 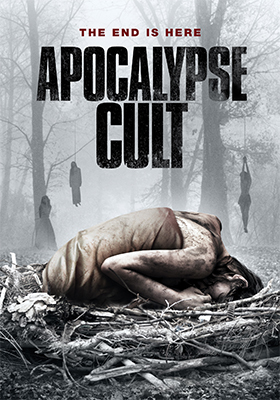 They are shooting some footage at a Down Under self-help group when their attention is drawn to one of the members in the group who claims to have escaped from a doomsday cult that is up to no good in the Outback. That’s just too much to pass up, so they decide to check it out. 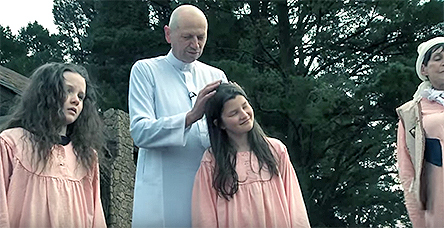 Filmed on location at the famed Kattemingga Lodge (about an hour outside of Melbourne), Jodie and her cameraman make contact with two young women of the cult, who agree to take them through the spooky woods to meet their leader. They seem sweet and innocent, even harmless, so when told that the one condition of their introduction is that they would have to be blindfolded for their short trip they didn’t think much of it. They agree — where was the hair on the back of the neck warning? Once to their destination they meet Michael (David Macrae), who is a mild-mannered bald guy with an all-female cult. Jodie and Kevin are given full access to the group — interview and film to your heart’s content! Did they find it disturbing that Michael made it clear that he could sleep with any of the members of his cult — including young girls? Would Michael invite Jodie to share his bed … didn’t that creep her out? Did they find it disturbing that there were no men; no boys in the cult — didn’t that give Kevin the chills? Glenn Tiggs’ Apocalypse Cult is a slow burn creep-out. The Australian locations are chilling and the payoff for our filmmaking duo is well-worth waiting for … like the poor frog in the pot full of water, how can a bald lecher and cult of dazed women and young girls possibly be a threat? 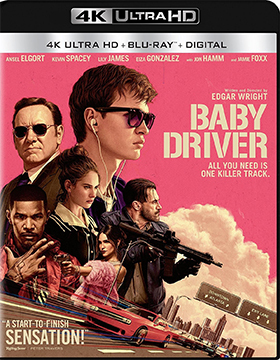 Sony Pictures Home Entertainment will be shipping a three-SKU array of writer/director Edgar Wright’s high-octane action flick, Baby Driver, to the home entertainment marketplace on Oct. 10. Planned for release are DVD, Blu-ray and 4K Ultra HD/Blu-ray Combo Pack editions. The ARR is 102 days and ticket sales currently clock in at an outstanding $103.3 million. 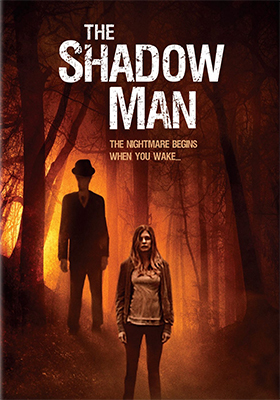 Also getting an October release date is director Joshua Fraiman’s direct-to-video horror flick, The Shadow Man. The street date for this horror tale about a young woman named Rachel (Sarah Jurgens), who has vivid nightmares revolving around the “Hatman,” will be available on DVD on Halloween (yes, the street date is Oct. 31). Bonuses include delete scenes and commentary featuring director Joshua Fraiman (his feature film debut), actor/writer Adam Tomlinson and executive producer Andrew Cymek. Broad Green Pictures will be delivering the chills and horror thrills on Oct. 10 with the release of both DVD and Blu-ray/DVD Combo Pack editions of director John R. Leonetti’s Wish Upon, starring Joey King as the teenager who must be extra careful in what she wishes for. The ARR is a quick-to-market 88 days and box office receipts were $14.1 million.